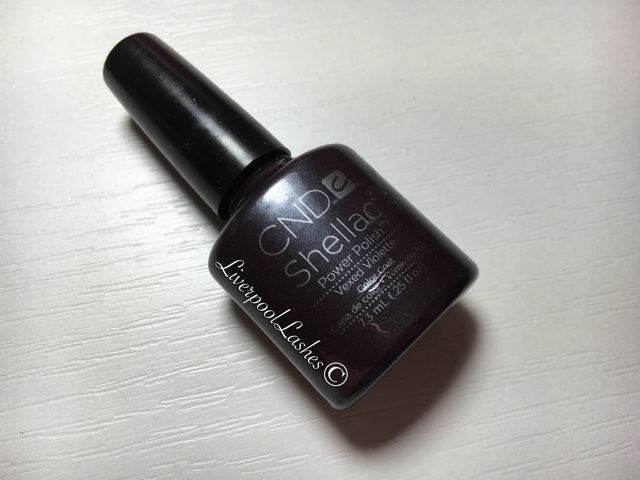 I find it quite shocking that there's CND Shellac colours in my collection that literally doesn't even cross my mind. I never think of them and therefore, I never suggest them to clients so of course that means they have literally never been used. This is exactly the case for Vexed Violette. It's recently come to light that this shade seems to be no longer in production as the Sweet Squared catalogue says that there is limited stock. For my sad little bottle I really want to get it used and into the mix of shades for my clients. I've made so many "focusing on" posts it I've now decided to turn those into videos in almost an experiment form, they're a little more informal and chatty and I show you the products I'm using with them and why I chose it. Basically it's what I always did for these posts only now I'm filming it which I think is the best way because you'll be able to see every colour pop up close and how it catches the light that I just couldn't do in a blog post. I am going to be filming a lot more often now so make sure you're following my Facebook page to keep up to date with new videos.